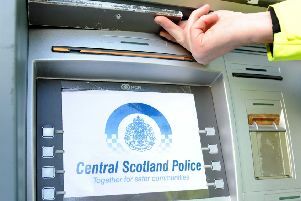 Police have issued a warning for residents to be on their guard after an East Dunbartonshire pensioner was conned by bogus workmen. Three men turned up at the OAP’s house and told him they wanted to check work they had previously carried out under guarantee. The conmen claimed additional repairs were needed and demanded a four-figure sum of money, but they fled with the cash without doing any work. A police spokesman said: “These people who come up to the door can be very convincing, but don’t be taken in. Phone the company they claim to work for. “Take down as much detail about the suspicious person as possible, such as appearance, accent, the company they claim to work for and details about any vheicle they may be using, including the registration number, and hand it in to the police. Diane Campbell, director of governance and regulation for East Dunbartonshire Council, said: “Our advice to residents is to decline any unsolicited approaches from doorstep callers, from trades people to magazine sellers. Anyone concerned about potential fraudsters can call the council’s Trading Standards team by calling 0141 578 8813.